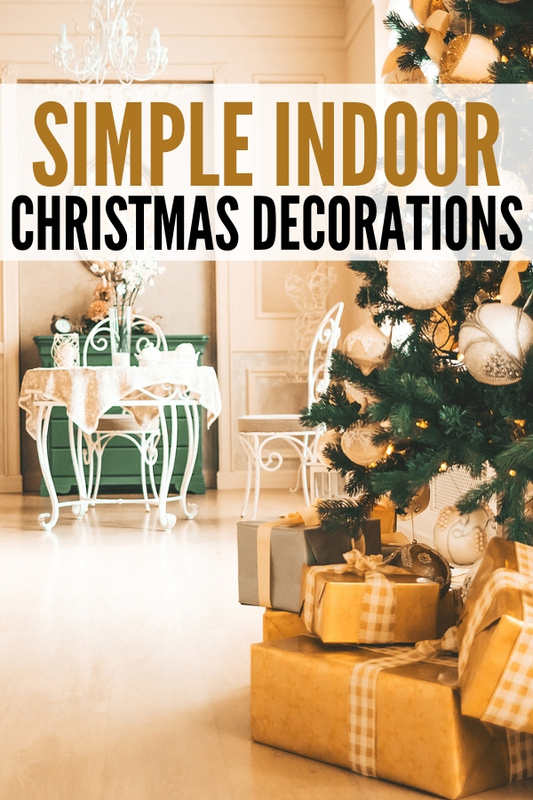 Needing some inspiration for simple indoor Christmas decorations for your home? I have some great ideas below that are quick and easy to accomplish. Everyone loves Christmas. It’s the most wonderful time of the year, right? From the decorations to the family get-togethers, Christmas is a time of the year that just seems to make everyone smile. And why not? It’s full of laughter, fun and amazing decorations. Sometimes, people tend to overcomplicate the ways to decorate for Christmas. The more simple that you can keep it, the better! Anything that you can do to keep it low key and less stressful during the holidays is awesome, so finding simple ways to decorate for Christmas is key! 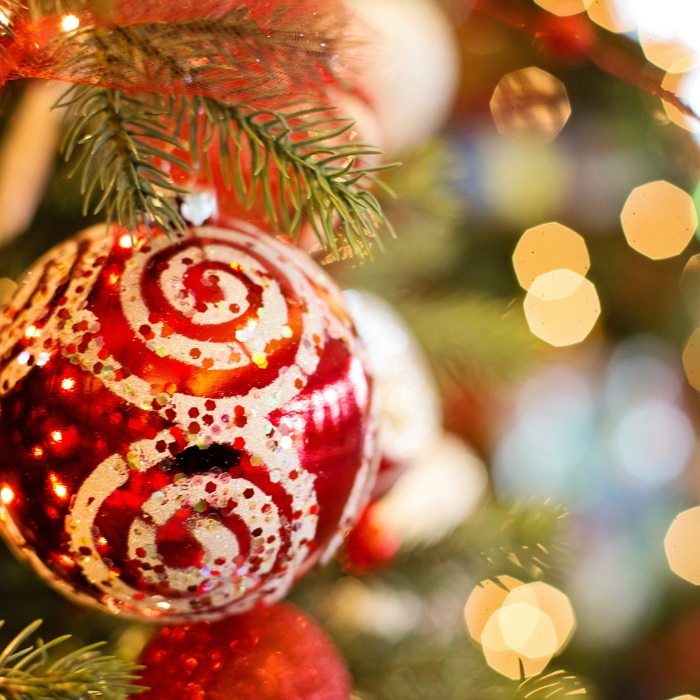 Here are some fun tips on how you can be simple and festive this year! Consider checking out these front porch projects to dress up your outdoor space! I love a yard that has stunning yard decorations to help give curb appeal as neighbors drive through the neighborhood. Use real items from nature to decorate. How many times have you headed to the store and bought something that you could literally find outside in your backyard? Take a hike in the woods or your backyard and pick up pinecone. Then take them inside, place them in a bowl, and just like that, you have a festive and fun centerpiece that screams winter. And if you have something scented that you want to dab on it, do so! There are even recipes online that you can find to make your own cinnamon scents with essential oils for your pinecones to smell fresh for many days! Wrap empty boxes and place them under the tree. If you are one of those households that don’t have the presents under the tree until Christmas morning because little hands and minds are curious and try to open them, just know that you aren’t alone. In fact, it’s common that many households wait to put out their presents until the last minute. If that’s the case, wrap up some empty boxes to have that look that you love without the worry that someone is going to open them and discover their gift! Let your little ones cut out snowflakes for the windows. Maybe it snows where you live, maybe it doesn’t, but having some craft time in your home and letting your little one cut out some decorations for the windows is always a fun idea. The more the merrier, because it isn’t a white Christmas without snow, right? Use candy canes as ornaments on your Christmas tree. Hanging up ornaments is fun, but let’s face it…they are a hassle to unbox and untangle each and every year…not too mention the fact that you store them year round as well, where they just seem to take up quite a bit of room. This year, try something new. Instead of using ornaments for your tree, decorate your tree with candy canes instead. 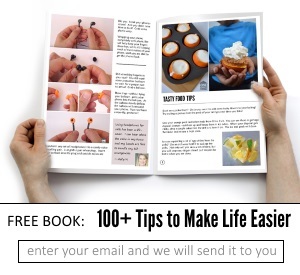 The kids will love it because they know that they are edible, and you’ll love it because it’s less hassle and work. Sounds like a win/win if you ask me! Head to the Dollar Store and check out their options. Truth be told, the Dollar Store has some amazing holiday items that will fit any budget. Checking there at the beginning of the season is always a great idea because they have such a wide variety that you never know what they are going to have. You can find anything there from wall signs to fun figurines that are certain to be a simple and affordable way to decorate for Christmas. When it comes to decorating for Christmas, it doesn’t have to be anything over the top. Think about what makes you happy, and what puts you in the holiday spirit and channel that for when you are decorating your own home. Often times, the more simple that you can decorate, the better because you don’t want your home to feel overcrowded either. What do you love to use to decorate for Christmas?